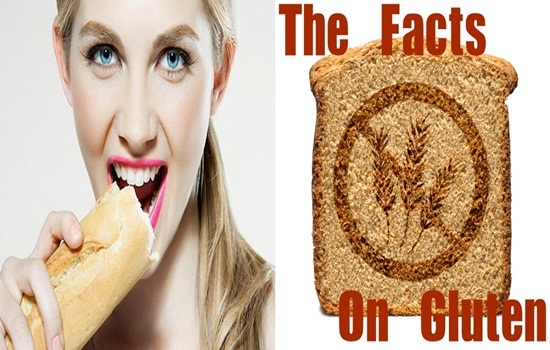 The new trend of gluten-free diets doesn’t seem to be slowing down, indeed more people are trying to go gluten-free either because they have to avoid it due to a health condition like celiac disease or they think they are sensitive, if you too are thinking about going gluten-free check these tiny bits of information you maybe didn’t know. – Gluten may not be the only culprit in celiac disease. A study conducted by Columbia University shows that, other proteins in wheat besides gluten also trigger problematic symptoms in patients of celiac disease, while gluten is the main protein in wheat, a study showed that a number of subjects with celiac disease had an immune reaction towards other five groups of other non-gluten proteins, meaning that, there are more to celiac disease than just gluten. – Gluten-free labels are now stabilized. Until very recent, the lapel gluten-free hadn’t been regulated or even refined by the U.S Food and Drug Administration, but according to the FDA recent ruling, manufacturers can only use his label if the product contains only less than twenty parts in a million of gluten, this ruling is also now in Canada and Europe, meaning that even though gluten-free now has a standardized meaning, a product with gluten-free lapel doesn’t mean it is 100% gluten-free. – Gluten-free fast foods are still not safe for those with celiac disease. Chains like Pizza Hut and Domino’s are now offering pizza crusts that are gluten free, but because the crusts are prepared in the same kitchens as the regular crust, they may not be 100 percent safe for those with celiac disease; the same cross-contamination risk applies for other chains like Wendy’s, Chik-fil-A and Burger King. – Gluten-free doesn’t necessarily mean healthy. Because somehow gluten-free is perceived as healthy food, it is important to refer your mind that there are dozens of gluten free junk food everywhere including cookies, Mac and cheese, ice cream sandwiches, and even gluten-free Twinkies, however despite the fact that these foods can be god-send for people with celiac disease who now can enjoy some of the treats they had to avoid before, these foods are not nutrient rich and can still cause you to out on weight. So unless you are really sensitive to gluten or was diagnosed with celiac disease, feel free to eat gluten products as they won’t hurt your health or contribute to weight gain as long as you are being mindful of the portions your consume.